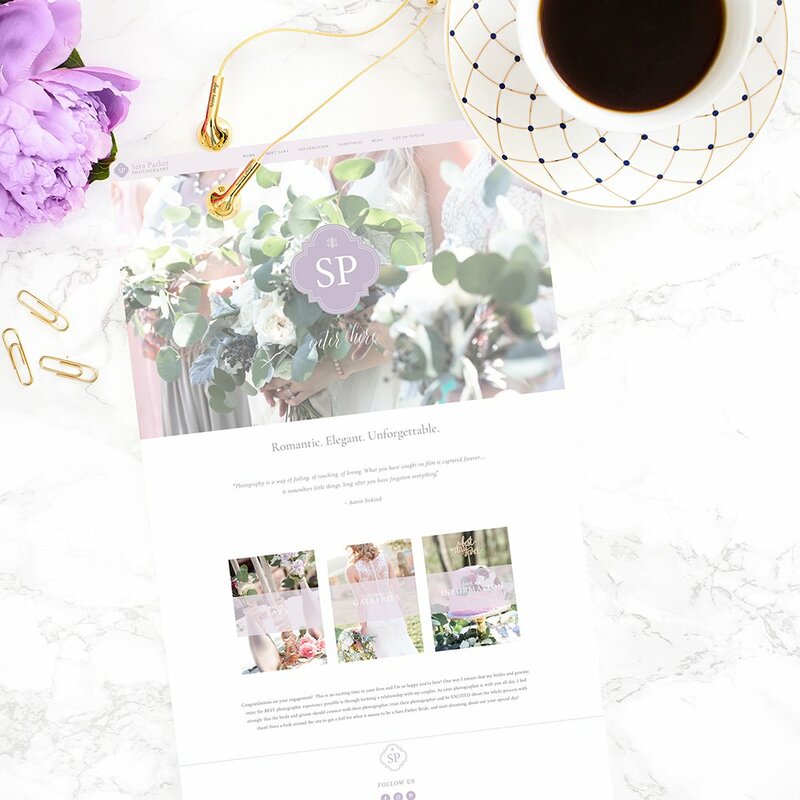 Sara Parker Photography provides engagement and wedding photography in the South Eastern U.S. Our client, the lovely Sara Colombo, loves everything French, and wanted a classic & elegant look for her rebrand. 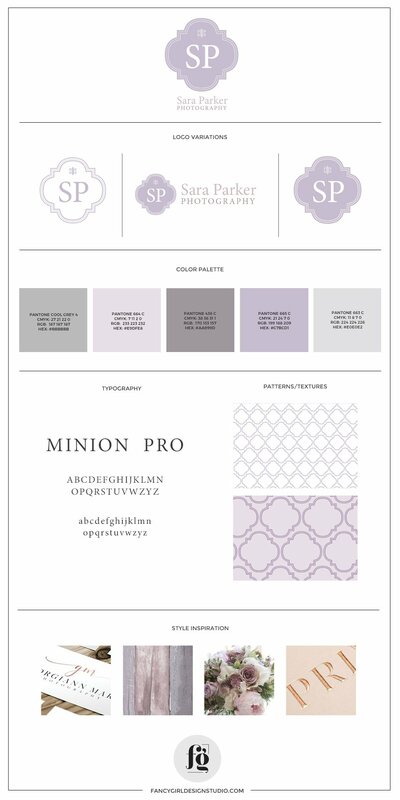 Ginny Krauss worked with her brand strategy, and I designed her branding suite and website. It was such a treat to work on this project! I’ve always preferred brands that are classic and timeless, and that’s exactly what Sara wanted. 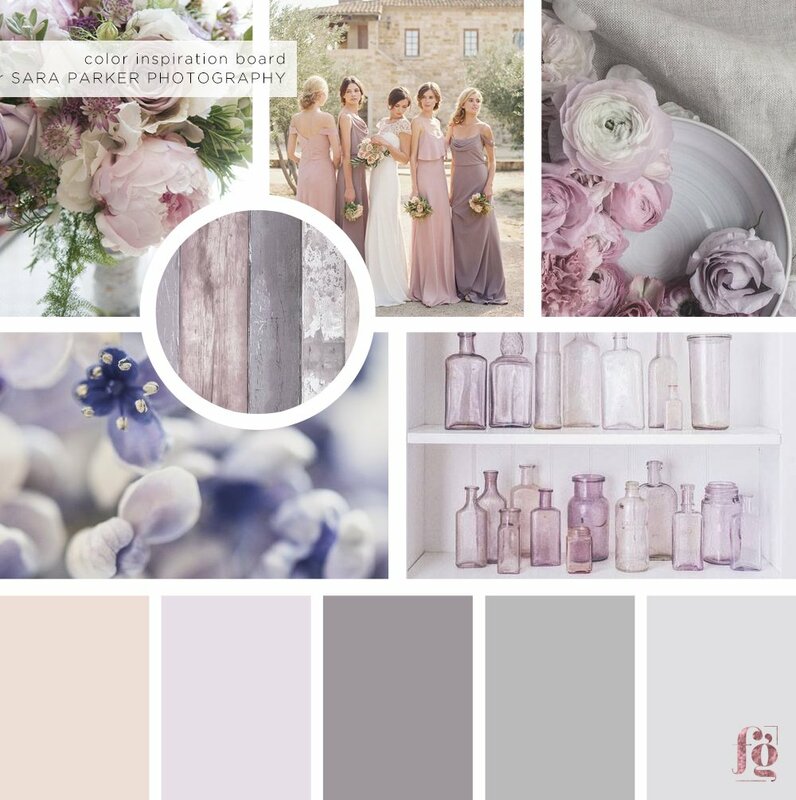 The colors are very soft, light, and almost neutral. 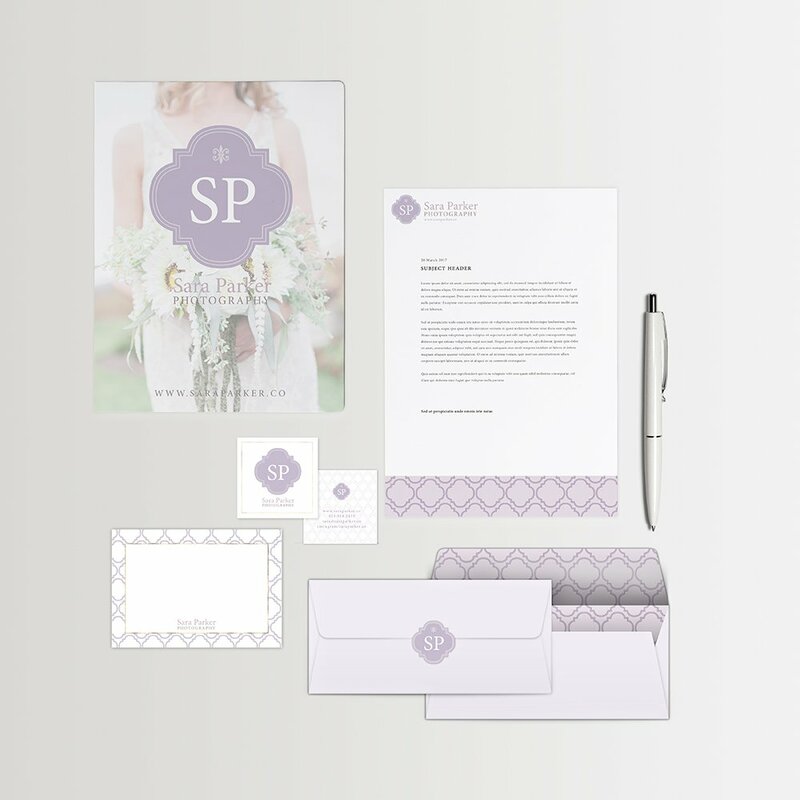 Because of her love of all things French, Sara wanted a small fleur de lis icon in her logo, and an easily identifiable monogram. I chose a classic, soft serif for her typography. She loved it! We carried over the same look for her website’s design. 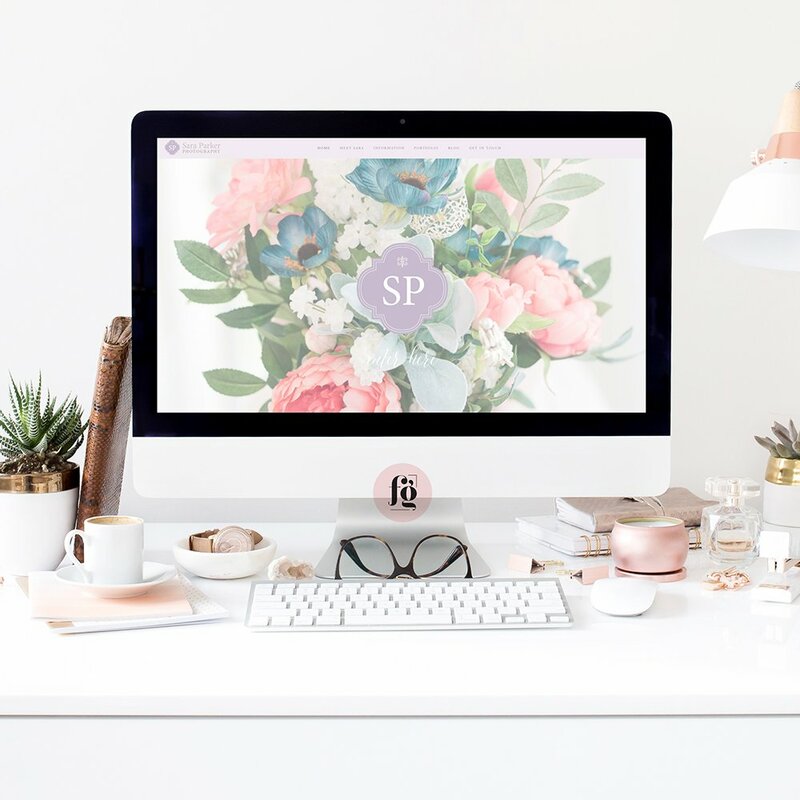 The emphasis is on her imagery, so we used a lot of her lovely photographs, which were all perfectly aligned with her brand strategy. Sara initially wanted a landing page that will direct viewers to the actual homepage, but because this doesn’t help the user experience at all (why add an unnecessary step and also negatively affect your SEO? ), I did a workaround in giving her the look of a landing page when you enter her site, with a clickable link that scrolls down to the rest of the page instead of to another one. The rest of her pages all have the same romantic, sophisticated look. The website is mobile responsive, of course, and built on the Genesis Framework and Beaver Builder, which makes it very flexible. It has in integrated custom portfolio post type, as well as a blog. Do check out her website.